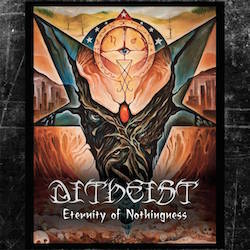 Would you like a brand new Ditheist - Eternity Of Nothingness CD? No need to purchase ANYTHING! The only thing you have to do is send email to info@metalbite.com with subject 'Eternity Of Nothingness'. To double your chances of winning click share button.